ALERT - Hurricane Michael: Due to recent storm damage, the Country Inn & Suites by Radisson Panama City, FL is closed. Please contact Reservations at 1 (800) 456-4000 if you have an existing reservation during this time, as they can assist to find alternate accommodations with Country Inns & Suites. 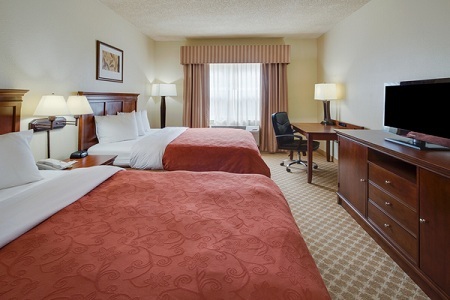 Relax in a comfortable room at the Country Inn & Suites® by Radisson, Panama City, FL, just off West 23rd Street near Panama City Mall. Nearby, sugar-white beaches and emerald waters meet with shopping malls, amusement parks and golf courses to offer fun for all ages. 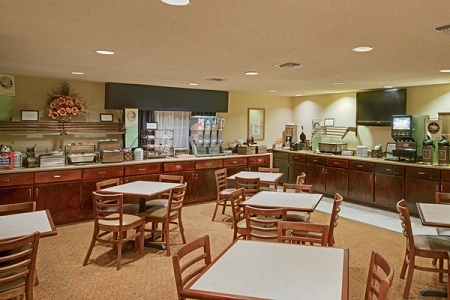 Our hotel’s friendly staff will fill you up with a free, hot breakfast each morning. Then you can explore popular Panama City attractions like the Science & Discovery Center of Northwest Florida. 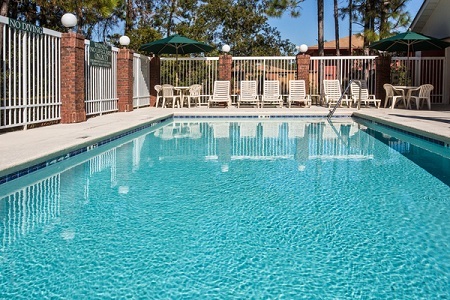 Learn more about our Panama City, FL hotel's amenities and services. Begin your mornings with our free, hot breakfast, featuring favorites such as Belgian waffles, fresh fruit, muffins and cereals along with fresh coffee and juice. For lunch or dinner, settle in for some home cooking at Granny Cantrell’s restaurant. If you’re looking for more variety, you can find an array of menu selections at one of the other many nearby restaurants. Panama City Mall – Browse through stores like American Eagle Outfitters and Dillard’s at this indoor mall. Watch a movie at the cinema, indulge in a seafood dinner at Red Lobster, and enjoy a tasty treat from Cold Stone Creamery. Bay Point Resort Golf Club – Tee off at one of the top golf courses in Panama City, just 20 minutes away from our hotel toward area beaches. St. Andrew’s State Park – Swim, snorkel, scuba dive, fish or watch the wildlife from the shore when you spend the day at this park, located a short drive from the hotel. Host gatherings of up to 50 guests in our versatile meeting space. Situated near U.S. 231, just off West 23rd Street, our hotel offers easy access to Panama City’s beaches and corporate offices like Arizona Chemical and Trane. 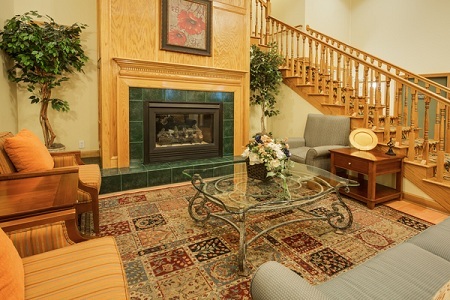 Helpful amenities like free Wi-Fi, a dry-erase board and a projector screen are available.